Global Maritime Consultancy & Engineering, a provider of marine warranty, dynamic positioning and engineering services to the offshore sector, has appointed Reid Berger Stokke to head its new line of business, GM Solutions. GM Solutions will focus on identifying innovative technical solutions and then develop and promote them through partnerships, where funding can be found to cover development costs. Reporting to Global Maritime’s Head of Operations for Norway, Stokke will be tasked with examining Global Maritime existing services and developing newly packaged and value-added solutions to clients that will enable the company to take on a broader, project management role. Reid will also be responsible for establishing partnerships with companies that offer complementary services to Global Maritime to ensure that customers have access to a complete offshore engineering solution. 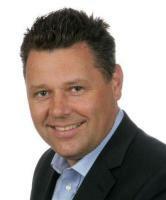 Reid has broad experience in project management, new business development and executive roles. Previous positions include Business Development Manager at Apply Sørco AS, a multidisciplinary engineering company, and Managing Director Norway for project engineering company, Semco Maritime. Reid has also worked for international consultancies, Deloitte & Touche and PWC, has an MSc in engineering from the Norwegian University of Science and Technology (NTNU) and also an MBA from the SDA Bocconi School of Management in Milan.